I have decided to bring back my Therapist business workshop on February 10th 2019. Come to this informal open workshop where I will answer all the questions that have been running around in your head about what is required for your soon to be thriving therapy business. As therapists we were all trained how to be a therapist but not necessarily how to build your practice. This one day workshop will cover all of the basic needs that any therapist either just starting out or looking to expand their business will need. From registering your business with CRO and ROS. Understanding how to make social media work for you not against you. Give you some tools to help with your work life balance. 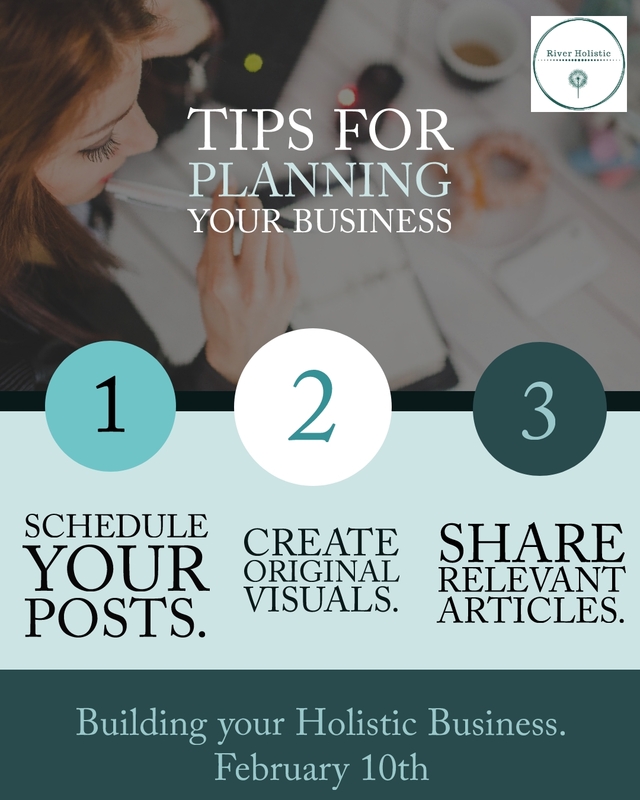 Discuss the importance of creating an active and relevant online presence. Show you how you do no need to spend a fortune when taking the next step. These are just a few of the topics that will be covered. The day is for you so there will be plenty of time for questions and hopefully at the end of the day you should have most of the tools to get you loving the business side as much as you love doing your therapies. We all have things that trigger feelings of anxiety and stress. Some are small and insignificant, such as being stuck in traffic, and others are life disrupters that turn our world upside down. The one thing that’s certain is that trying to avoid those things that stress us is like trying to walk in between the raindrops in a thunderstorm. The world we live in is only getting more complex. We are surrounded by choices. From the close to 100,000 drink combinations at Starbucks to the 27 apps on a typical smart phone. At times it seems that our ability to innovate has exceeded our ability to cope with innovation. It’s simply overwhelming. And, while we may joke about the ability of millennials and Gen Z to adapt, multitask, and embrace change, the truth is that they are feeling it most of all. According to Psychology Today, twenty-five percent of kids between 13-18 suffer from anxiety. One study found that eighty-five percent of college students score significantly above students of the 1930’s and 40’s when it comes to reporting symptoms of anxiety. Its’ no wonder that prescriptions for anti-anxiety meds have increased by 50% in the last 20 years. Mobile technology isn’t helping any of this. 50 percent of us check our e-mail or text messages before getting out of bed in the morning. 60 percent of us sleep with our mobile devices in or near our bed (up to 79 percent for those under age fifty). 30 percent of millennials actually sleep with their smart phone “in” their bed. We spend on average of 5.5 hours on mobile devices daily, however 40 percent of 22-32 year-olds spend more than 13 thirteen hours a day on their mobile device! It’s all pointing to the inevitable conclusion that we live in a world whose complexity, uncertainty, and volatility is increasing faster than our ability to cope. When the context of change exceeds your ability to cope it creates stress. Since we’re clearly not going to slow down the overall rate of change in the world, there are only two ways to reduce stress. You either have to avoid the triggers or learn to better cope with them. Notice that I didn’t say you had to adapt to the change. The greatest myth we perpetrate in modern society is that we have a mandate to adapt and accept every change. While that sounds very progressive, it can actually create even more stress because now you are not only anxious about the change but you’re also setting a high bar that you have to hurdle by adapting to something your body and mind really do not like, which in turn creates even more stress. The fact is that not all change is good change that contributes value and quality to our lives. Take my earlier example of driving in traffic. If I could show you a way to get to your destination that is faster, more pleasant, more scenic, and which contributes something positive to your life wouldn’t you choose that over adapting to the traffic? Although we don’t like to admit it, that’s the way most stress works. We choose to stay in stressful situations because we actually adapt to the presence of stress and accept it as normal. That only makes stress a permanent part of your life. Chronic stress is not normal. It damages your body, dulls your mind, and depresses you emotionally. And then all of these in turn make it even harder to cope with the triggers that create the stress. 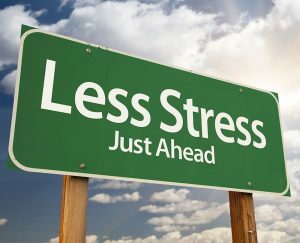 So how do you reduce stress? Here are 10 ways to start both eliminating the triggers of stress and anxiety and coping with those that you have no control over. I know, I’ve started with one of the hardest and most difficult stressors to eliminate. With smartphones we are tethered to social media like tagged wildlife. Worse yet, studies have shown that social media triggers addictive and obsessive responses in the brain. But it’s not just what social media does to your brain but also what it does to your workload. Eliminating social media is exceptionally effective at reducing the stress of not having enough time. According to a study conducted by AdWeek we spend nearly 2 hours each day on social media sites such as Facebook, YouTube, Snapchat, Instagram, and Twitter. What would your day feel like if you had two extra hours to do things that you really needed to do? Well, guess what? You just got those two hours. It’s up to you how you use them. Small breaks every 15 minutes have been shown to have a tremendously positive effect on productivity and well being. The key here is to avoid falling into the trap of believing that simply bumping up against an obstacle repeatedly will cause it to give way. In many cases that’s only going to increase your stress and frustration. Imagine your car being stuck in deep snow while you just keep spinning your wheels and digging deeper and deeper into the snow making it harder and harder to get out. Instead take a step back. Clear your mind. And then revisit whatever it is you’re dealing with from a new perspective. Depending on what type of personality you are this may appear to be very natural or very painful. This of us who like to retreat into the confines of our own mind believe that we can somehow will our way out of just about anything by focusing hard enough without interruption. In fact the worst thing in the world you can do to me when I’m stuck and stressed is to try and talk to me. My instinct is to shut you down faster than I’d swat away an annoying fly. Yet, conversation is one of the most therapeutic forms of problem solving. Keep in mind that I’m not suggesting someone else has the answer, but that your talking it out will help you find an answer. My friend Judith Glaser has written extensively about how conversations not only shape our emotions but also have lasting effects at the level of our DNA. Although I’ll admit to being the last one to take my own advice on this, I can attest that as a mentor, teacher, and consultant I’ve never ceased to be amazed at how people usually figure out their own problems with nothing more than encouragement and a bit of objective perspective. This is another one of those activities that we often see as distracting us from the task at hand. Yet, I’ve found that few things stimulate my ability to think through a problem more than the simple act of reading. Sometimes I’ll stumble across a nugget of wisdom that is tangentially or even directly applicable to my challenge at hand. But most times it’s just a way to get my mind to divert from a train of thought that has been holding it hostage. We don’t want to admit how easily we can become near sighted and lose peripheral vision necessary to think creatively. “And just when am I supposed to do that?” you’re asking. Well, that is exactly the problem. Most of us do not get enough sleep to begin with. Short power naps are one way to improve that. According to WebMD, “Research shows longer naps help boost memory and enhance creativity. Slow-wave sleep — napping for approximately 30 to 60 minutes — is good for decision-making skills, such as memorizing vocabulary or recalling directions. Getting rapid eye movement or REM sleep, usually 60 to 90 minutes of napping, plays a key role in making new connections in the brain and solving creative problems.” Yes, I know, the guilt of daytime napping is a hard one to cope with, which may contribute its own form of stress. Then again, if you haven’t tried it you may be very pleasantly surprised at its benefits. People fall into two categories, those who meditate and those who haven’t yet. Once you do it’s amazing how drawn you will be to it whenever stress shows up. I’m not going to give you a meditation method here. You need to study it and develop your own approach to meditation What I will share is something a good friend once told me. Meditating is not about trying not to think, instead it’s about allowing your mind to wander where it will while you observe calmly and without judgment. All I can say is, try it. In the age of mobility it seems as though each of our lives has a soundtrack. It’s a good thing and it can help reduce stress significantly. A group of neuroscientists at Mindlab International in the U.K have come across a piece of music that they claim reduces overall anxiety by 65 percent and reduces physiological responses to anxiety by 35 percent. I’ve often found music, in general, to be a wonderful way to help my mind get into a sort of creative zone where ideas flow smoothly and that same feel-good brain cocktail gets released. After all, who among us hasn’t been caught coping with rush hour traffic by performing a bit of carpool karaoke? Lastly, it’s one thing to deal with the stress of the present without adding to it the stress of the past. While there are many episodes in each of our lives that we carry forward, the worst sort of stress is the “what if” games we pay about the past. I’m going to be very blunt here. The only reason to second guess the past is because you are unhappy with where you are now. If that wasn’t the case there would be no reason to questions how you got here. So, if that’s the case what you really need to focus on is your situation right now, right here. Do that and the what if games come to an end. Don’t do it and I will guarantee you one thing. Several months or several years down the road you will say “what if” about today as well! Will the ten ways I’ve described eliminate your stress? No. Some degree of stress is a normal response to the world we live in. If you weren’t periodically stressed you also would likely not feel much of anything else. We need the occasional thunderstorm in our lives. Most of us just don’t want to live in a perpetual monsoon. Are you looking for something a bit different to do with your friends? Well here at River Holistic Centre, we can tailor any package to suit your needs and occasions. Birthday’s for that someone special, give the gift of relaxation, stress management days for your hard workers, or just a weekend of pure bliss. Then relax in our chill out studio with a hot cup of herbal tea and a bit of a chat. We can even arrange your reservations for the local resturants to make your day as stress free as possible. 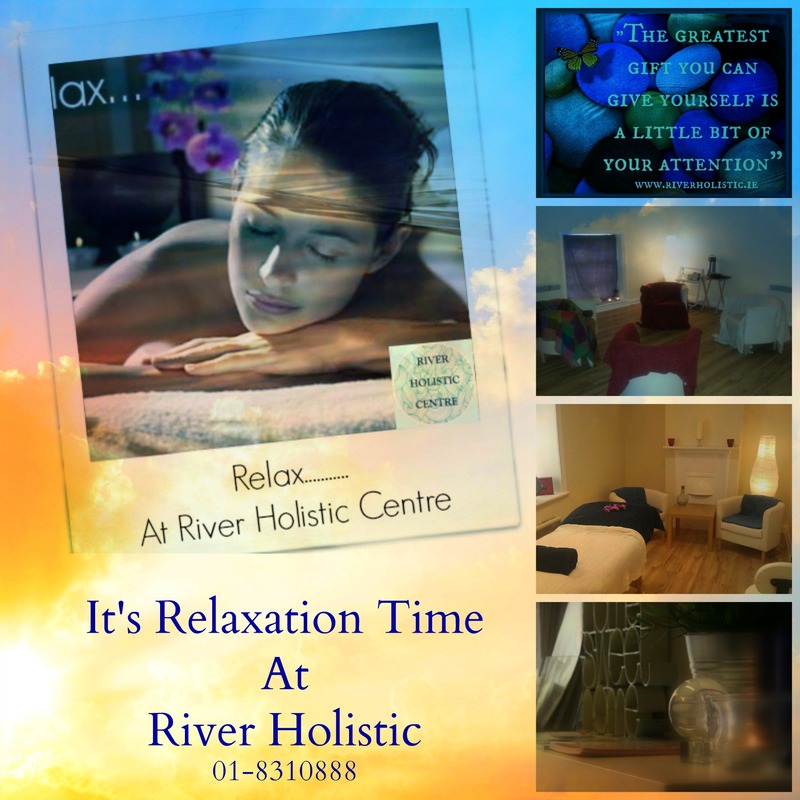 Just call reception on 018310888 or email info@riverholistic.ie and let us do the rest.